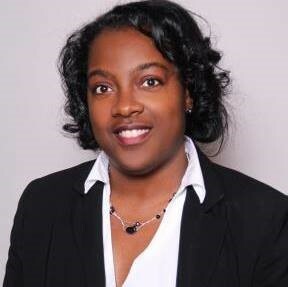 Cheryl Thompson has joined Civility Management Solutions (CMS) as the Program Administrator, and will oversee the processes for Simplified Acquisition Procedures, Maryland solicitations and company certifications. In additions, Cheryl comes with years of experience as a national meeting planner and has managed conferences from 65 to 8,000 attendees, to include celebrities, politicians, government officials and dignitaries. Cheryl began her career as a Corporate Trainee with Hyatt Hotels and spent nine years in the hotel industry, covering every area of hotel management including personnel and functional management. For her contributions on the management team, she was awarded Manager of the Year. Cheryl transitioned into the non-profit association community as Conference Director for the National Head Start Association with management oversight in professional development, budgeting, conference marketing, certifications, distance learning and branding. Cheryl spearheaded a larger distance learning program to include existing satellite training, newly developed webinars and audio conferences, generating new revenue streams. She then served as a leader at the School Nutrition Association, while continuing work in the non-profit industry for another eight years. She was a member of the School Nutrition Association Board of Directors’ strategic planning team as the Staff Vice President of Meetings. In addition, Cheryl has also presented education sessions on Conference Planning, Conference Marketing and Sponsorships. Cheryl is a high-performing Certified Meeting Professional (CMP) and Learning Environment Specialist (LES) with proven success in association management; managing diverse meetings and events as both the client and the supplier. She is a creative thinker, with a commitment to continuous improvement, and expertise in finance and budgeting, meeting and exhibit management, social media and developing market brand for both government and public sector. She is currently obtaining training through Towson University, to obtain her PMP with the Maryland Workforce Division. Cheryl is a graduate of Howard University majoring in Business, with a concentration in Hotel/Restaurant Management. She has two children, one is a freshman at Hampton University (the other HU) and another attending Junior High School.